We’d love your help. Let us know what’s wrong with this preview of Silent Stars by Jeanine Basinger. Film scholar Jeanine Basinger offers a revelatory, perceptive, and highly readable look at the greatest silent film stars -- not those few who are fully appreciated and understood, like Chaplin, Keaton, Gish, and Garbo, but those who have been misrepresented, unfairly dismissed, or forgotten. Included are Valentino, "the Sheik," who was hardly the effeminate lounge lizard h Film scholar Jeanine Basinger offers a revelatory, perceptive, and highly readable look at the greatest silent film stars -- not those few who are fully appreciated and understood, like Chaplin, Keaton, Gish, and Garbo, but those who have been misrepresented, unfairly dismissed, or forgotten. To ask other readers questions about Silent Stars, please sign up. The author states that the purpose of this book is to feature silent film stars that are forgotten, misunderstood, or underappreciated. It is a good premise but I couldn't relate to how some of these actors fit into those categories. And in only a couple of instances did one of those categories apply. A perfect example is John Gilbert.....a man who will forever be known for his downfall because his voice was too high for talking films. That is a legend without any basis at all. If you have seen The author states that the purpose of this book is to feature silent film stars that are forgotten, misunderstood, or underappreciated. It is a good premise but I couldn't relate to how some of these actors fit into those categories. And in only a couple of instances did one of those categories apply. A perfect example is John Gilbert.....a man who will forever be known for his downfall because his voice was too high for talking films. That is a legend without any basis at all. If you have seen his talking films, there is nothing unusual about the tone/pitch of his voice and his fall from stardom was based on other issues. The author writes 13 chapters, each dedicated to a star, none of whom are forgotten by silent film fans......Mary Pickford? Douglas Fairbanks? Gloria Swanson? Lon Chaney? Clara Bow? Why are they in this book? Probably the only two actors who may be forgotten are the Talmadge sisters, Norma and Constance, who invested their money well and got out of the movie business when talkies came along. I can think of many actors, famous in the day, who are not included.....Mae Murray, Mary Miles Minter, Bobby Harron, William Haines.........all forgotten today. They are the ones that I expected to find within these pages. Strangely I wasn't enthralled and decided to wait and try this some other time. I mean, I did read a good deal of it. I adored Basinger's book about the studio system and I love love love silent movie lore, but . . . I guess this book, consisting of mini biographies and filmographies just didn't grip me. Basinger is a lively writer, whose other books on film history I like, but this book is a disappointment, primarily because it does not deliver what it says it will. From the jacket blurb: "...a look at the greatest silent film stars - not those few who are fully appreciated and understood ... but those who have been misperceived, unfairly dismissed, or forgotten." Into the category of the 'forgotten', Basinger places the Talmadge sisters. Who is she kidding? I've known about these sisters for decades, and have in my collection a multitude of magazine photos and articles on both of them, and for 25 years I've wanted to see their feature films. Over the years, including after 1999, other writers have said their films were lost, but they're not, and a couple years ago Kino issued pristine dvds of 2 films for each of them, which I heartily recommend to all newbies and oldies. 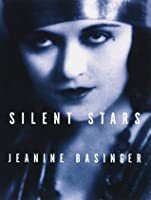 Basinger's selection of stars will be of interest only to those who are new to silent films and know nothing about this era - for all of these stars, except Valentino, whose name is known, are obscure - and for this group, the book is highly recommended. However, for the rest of us, why write about Pickford, Fairbanks, Swanson, Bow, Valentino, Gilbert, Normand, and Chaney when there is already a mountain of published material on them? I would welcome reading about other major stars of this period such as Richard Barthelmess, Francis X. Bushman, Barbara LaMarr, Wallace Reid, Bebe Daniels, Conrad Nagel, Florence Vidor, Thomas Meighan, Alice Terry, Vilma Banky, Mae Murray etc, but doing so would require original research in primary sources, which Basinger is perhaps too busy to do. What research she has done, which seems to be entirely from histories and auto/bios published over the preceding 40 years, does not turn up any new information or insights about these stars of the silent era. Of course, she also watched the films, where she discovered new 'insights', which are actually just her opinions colored by a 1990s outlook. But I'm not interested in Basinger's assessment of a film made in 1922 and viewed by her 75 years later. What does interest me is what contemporary audiences thought of a given film, information which can be found in contemporary reviews in Variety, NYT, trade papers, and the fan mags, but not in 'Silent Stars'. Is Basinger unaware that the general public has no access to many of these films, either to purchase or view them, unless you live in L.A. or N.Y., where they're shown, rarely, in special revival screenings. So why, if a film has been lost or is locked up in an archive, write extensively about the film, especially the plot, its least interesting element, as Basinger, and to be fair, many other authors, do. And what's Marion Davies doing in this book? Davies successfully transitioned into the sound era and is more well-known for the films she made in the 30s than in the 20s. Yes, I know she had a long career in silents - and her 2 comedies at the very end of the silent era are brilliant - but to include her in this group of the 'greatest of silent film stars' is strange. Final squawk. To state, as Basinger does, that Olive Thomas was a drug addict is irresponsible. Thomas' biographer does not make this claim and she has examined this rumor more closely than Basinger. It is annoying that highly respected scholars make statements such as this without documentation and thereby perpetuate the rumors. Primarily critiques on the films and the impact they (and the actors) had on the public. There is much less information of the actor’s lives, themselves. Likewise, there are plenty of "opinions” by the author, but few that I agree with. Yet, it is a good source if you are interested in the work of the performers that she covers. Reading Silent Stars was like taking a college course with the perfect professor lecturing. I learned a lot, and although Basinger is an academic, she has a straightforward, declarative style that is charming and engaging. Jeanine Basinger spends time with several of the silent greats - some are better remembered today than others, but all of their stories are interesting. I'd love a sequel! I'll read anything about Hollywood by Jeane Basinger and this is one of her best (but she did mess up a bit on Marion Davies). Still, a fabulous book on the silent era. This book is a veritable tome and I worked through it gradually over the course of a book. It includes biographies on various stars of the silent era, going into good detail on their entrances into movies, career highlights and lowlights, and what came of them in the talking era and beyond. The author says at the start that their intent was to elaborate on forgotten stars, which made many of the choices rather strange--Mary Pickford, Douglas Fairbanks, Marion Davies, Rudolph Valentino...? They a This book is a veritable tome and I worked through it gradually over the course of a book. It includes biographies on various stars of the silent era, going into good detail on their entrances into movies, career highlights and lowlights, and what came of them in the talking era and beyond. The author says at the start that their intent was to elaborate on forgotten stars, which made many of the choices rather strange--Mary Pickford, Douglas Fairbanks, Marion Davies, Rudolph Valentino...? They and several others have been covered in detail by many other books. That repetition made the book drag for me, though it wasn't poorly written. I especially enjoyed learning about the genuine mostly-forgottens like William S. Hart (I have his autobiography in my to-read pile and now I really look forward to it) and the original Rin-Tin-Tin. 1. Films offered a way for women to earn their own living during that time. Many of the industry's most famous actresses of the time - specifically, Mary Pickford - were in charge of their careers and contracts in ways later actresses were not. (And, of note, Mary Pickford was one of the founders of United Artists). 2. Mary Pickford and Douglas Fairbanks were the most famous couple in the world at that time and probably surpass the attention even Brad/Angelina receive today. 3. After reading this book, I am more curious about silent films and even rented Through the Backdoor (Pickford) from Netflix. Although silent films haven't been an interest of mine in the past, I'm definitely making them a part of my classic film history going forward. 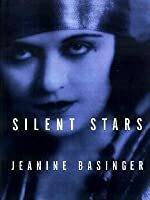 In this fantastic book, Jeanine Basinger investigates the lifes and careers of underappreciated, forgotten or misunderstood silent stars. Debunking any myths connected to their careers (especially their failures), Basinger astutely sheds light on big stars such as Mary Pickford, Douglas Fairbanks, John Gilbert or Clara Bow. Highly recommended for anyone interested in Hollywood and silent film history. I found this book fascinating but tedious at times due to the content. The author spent too much time on some of the darker stories about these first film stars. I did appreciate the color that it added but for a scholarly book, it had a lot of personal stories in it. Overall, one gets an insight into the culture in which these pioneering movie stars appeared and thrived. Recommends it for: Actors, people who like movies, critics. I very rarely read criticism that I think is well done, and Basinger's dissection of the careers of people like Valentino and the Talmadge sisters is both entertaining ---she can really write as a learned enthusiast --- and insightful. Very good. Not scholarly history but Basinger's own opinions and reactions. I don't agree with everything, but few other film books would even mention the Talmadge sisters, let alone give them a full chapter. Wow. There was a whole different world around during the silent era of motion pictures. I had to look up Colleen Moore after I read about the amazing doll house she donated to the Chicago Museum of Science and Industry. There is so much yet to learn about people! A great book on forgotten, misunderstood, underrated early movie stars. Really well written, easy to understand and enjoyable. Very entertaining collection of essays on stars of the silent film days. I especially enjoyed the chapter about the dogs Stronghart and Rin Tin Tin. Some time ago, I took a Film Studies course on Coursera. I didn’t really expect much from the experience because I’ve been a film collector for many years and have spent a lot of time studying film history. I mostly wanted to experience what it would be like to take a college course online. Imagine my amazement when I became absorbed in the material. I not only learned things that I hadn’t known before, but I thoroughly enjoyed having my opinions challenged by new perspectives. Best of all, I cou Some time ago, I took a Film Studies course on Coursera. I didn’t really expect much from the experience because I’ve been a film collector for many years and have spent a lot of time studying film history. I mostly wanted to experience what it would be like to take a college course online. Imagine my amazement when I became absorbed in the material. I not only learned things that I hadn’t known before, but I thoroughly enjoyed having my opinions challenged by new perspectives. Best of all, I couldn’t wait to bring my new-found knowledge to re-viewings of shows that I’d either loved or dismissed. What I experienced was a refreshingly different perspective on what was happening in these films. Yes, there were some explorations into the lives of the stars, but the bulk of the information centered on culture, methodology, and how personal choices influenced performance styles and roles created. And, yes, there were a few saucy tales interwoven to spice things up. The result was that I not only looked forward to each upcoming chapter, not unlike attending a beloved class, but I was motivated to seek out the films described and look for the nuances detailed by the writer. An excellent example would be the films of actor turned director, Mack Sennett. Frankly, the raucous, frenzied comedic style (perfectly illustrated by his Keystone Kops) grew old very quickly for me. I recalled struggling to stay involved with his famous feature film, TILLIE’S PUNCTURED ROMANCE. Well, after learning about the purpose of this style…altering my perception, if you will…I could go back and appreciate what was being attempted and how it succeeded (or didn’t). There are some errors, which I assume to be typos rather than misinterpretation of fact. For instance, one silent film is described as costing an unusually high amount of $5,000 to make…which is also stated as being the amount paid to the film’s star. Production costs were truly of little interest to me, so this did not decrease my enjoyment. The writer’s style is never pedantic, and seemed quite conversational. Many times, I could imagine myself being in her class and watching her point out some key factor on the screen. That was a great deal of fun. I recommend the book to anyone who would enjoy learning more about silent films…and why they were created as they were. I'll be honest: I didn't read every chapter of this book because, honestly, I didn't need to. For example, having a chapter about Mary Pickford seemed to be somewhat useless. Sure, she's a legend and is, perhaps, somewhat misunderstood, but one could very easily research her and discover that she was, in fact, a strong businesswoman and not simply a cute little Pollyanna-type in real life. The same would go for Valentino and Chaney, one of my favorites. Yes, they may have screen personas that di I'll be honest: I didn't read every chapter of this book because, honestly, I didn't need to. For example, having a chapter about Mary Pickford seemed to be somewhat useless. Sure, she's a legend and is, perhaps, somewhat misunderstood, but one could very easily research her and discover that she was, in fact, a strong businesswoman and not simply a cute little Pollyanna-type in real life. The same would go for Valentino and Chaney, one of my favorites. Yes, they may have screen personas that differed greatly from their real-life personalities, but that fact wouldn't be hard to find anywhere else. I also had trouble getting through Marion Davies' chapter. It essentially consisted of Basinger trying to convince us that, yes, Davies DID have talent! It got very old very quickly. That said, I enjoyed two chapters in particular. The chapter on Mabel Normand was definitely enjoyable, and since I can only compare it to Fussell's sad attempt at a Mabel biography, it was nice to read. The chapter on the Talmadge sisters was also fun. Again, the only biography about them was written by Anita Loos who can be a less-than reliable source, so it was nice to have this chapter to fall back on. I had high hopes for this book, but was disappointed. There are two main issues. The first is that it reads as a love letter to Mary Pickford and Douglas Fairbanks, especially Pickford. She receives by far the largest section in the book, nearly sixty percent larger than many of the other sections, and she gets it completely to herself. She then appears as a comparison to every other actress in the book whom tend to share sections with other actors or actresses. The same is true for Fairbanks. W I had high hopes for this book, but was disappointed. There are two main issues. The first is that it reads as a love letter to Mary Pickford and Douglas Fairbanks, especially Pickford. She receives by far the largest section in the book, nearly sixty percent larger than many of the other sections, and she gets it completely to herself. She then appears as a comparison to every other actress in the book whom tend to share sections with other actors or actresses. The same is true for Fairbanks. While he doesn't have as large a section as his better half, it is still greater than the other actors who end up in constant comparison to him. The only actor who escapes this treatment is Rin-Tin-Tin, and he's not only compared to the other animal actors of his time and since but is also compared to Joan Crawford, not once but twice. This is a very interesting book about the stars from the early days of cinema. They are pretty much names that are mostly forgotten. This book really got me into Silent films and helped me discover my favorite movie star (Greta Garbo). I only wish there were more to the personal biographies of the stars. It is very much a book about the careers and films the actors/actresses made and it is put together beautifully. I own this book and read it often. An introduction to the some of the better-known silent players. The author has seen the films and read reviews and biographies, giving her in-depth analysis of the stars' lives and work. Terrific. Very detailed, film-by-film accounts of some of the silent era's most important actors. Probably not the best choice to learn more about the silent era but still generally worthwhile. Jeanine Basinger holds a BS and MS from South Dakota State University. She is a film historian, professor of Film Studies at Wesleyan University and curator and founder of The Cinema Archives at Wesleyan University. In addition, she is a trustee emeritus of the American Film Institute, a member of the Steering Committee of the National Center for Film and Video Preservation, and one of the Board o Jeanine Basinger holds a BS and MS from South Dakota State University. She is a film historian, professor of Film Studies at Wesleyan University and curator and founder of The Cinema Archives at Wesleyan University. In addition, she is a trustee emeritus of the American Film Institute, a member of the Steering Committee of the National Center for Film and Video Preservation, and one of the Board of Advisors for the Association of Independent Video and Filmmakers.